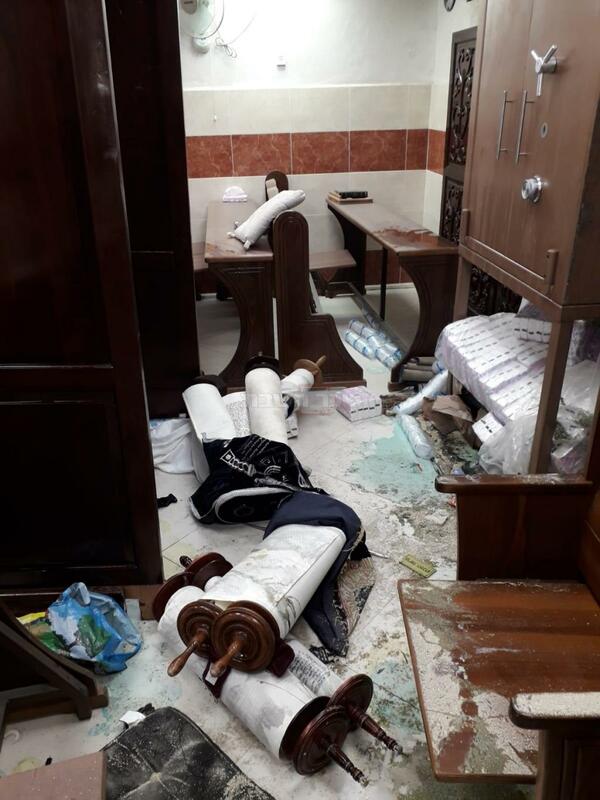 In light of the recent vandalism in the shul in Jerusalem in which sifrei torah were desecrated and thrown on the floor, many people were shocked by the images. A question was raised if when people arrived in the morning, and those who took the pictures, should they have left the torah scrolls on the floor, as they did, in their continued desecration, or should they have rushed to pick them up and clean them off and show proper respect? The police had told them it is a crime scene and nothing should be touched until it can all be dusted for fingerprints and other signs that would point the police toward the perpetrators, but perhaps it would be more important to pick the torah scrolls up as soon as possible and not let them lie there in that state. The question was brought to Rav Chaim Kanievsky. His response was that this is the kavod of the torah in such a situation - to leave them in their place so the police can do what they need to do to find the perpetrators, and thereby prevent similar desecration in the future..
Last week I asked Rav Goldstein (a major posek in Ramat Beit Shemesh) that exact same question and he literally gave that exact same answer, although he did add to cover them if allowed.